The concept of a night clinic revolves around getting medical care when your regular health care provider is not available. You may be thinking, “Isn’t that what the ER is for?” For life-threatening or very serious medical concerns, that’s true. But for non-life-threatening injuries and illnesses that still require medical care, the best option is to visit a night clinic. When Should You Visit a Night Clinic? Night clinics provide all sorts of medical services, including physicals, flu shots, gynecological exams, vaccinations, and general health education. For many people, getting to their regular physician’s office to receive these services during business hours is very difficult. Work and other obligations can get in the way. A night clinic is the perfect solution to get you the medical services you need around your schedule. You may also receive blood tests, X-rays, STD testing, occupational health services, EKG tests, DOT physicals, and sports medicine services. 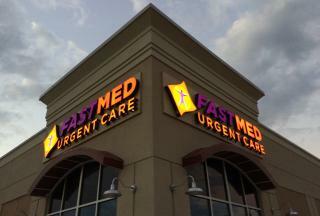 FastMed Urgent Care is a clinic that offers extended hours in most locations and is open 365 days a year. Our services are prompt and personal and are often more cost-effective than visiting the ER. Our professional medical staff has a goal of getting each patient in and out within one hour, meaning our wait times are often even less than waiting at a traditional physician’s office. To learn more about our clinic, please see our FAQs page. If you’re having trouble paying for medical services, read about our Discount Program to learn how FastMed can get you the care you need for a price you can afford.